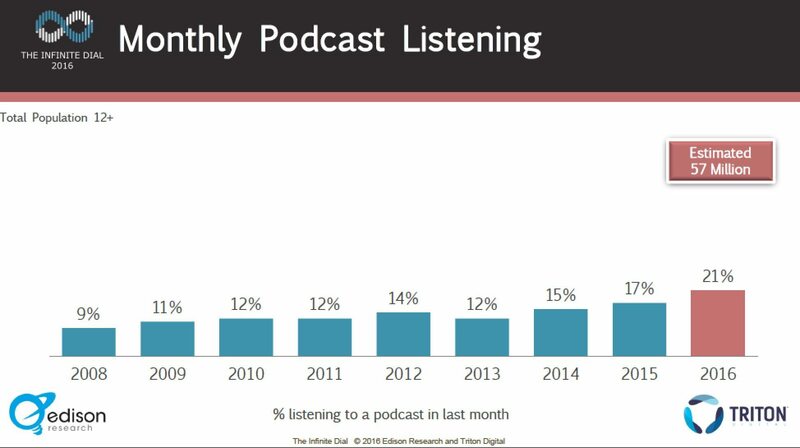 Now the Edison team is back with a new edition of their annual Infinite Dial research (they partner with Triton on it) and they’ve found another disruptive force…..podcasting. To provide some context for what 21% of the entire country represents, 13% of the USA listens to Spotify monthly, and 21% of the country uses Twitter. 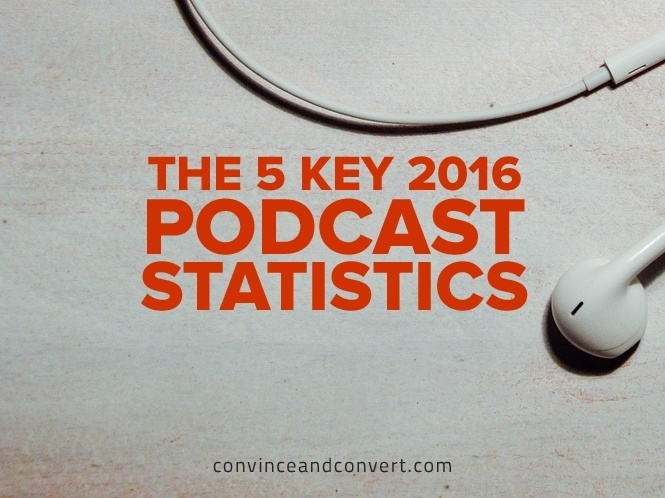 To illuminate this podcast statistic slightly more, 69% of weekly podcast listeners consume five shows or fewer. This has important consequences for podcast producers, as new podcasts being launched today may need to steal listeners from older shows, the same way that new blogs poach readers from blogs that have been around longer. But to really break through and become a major part of the media landscape, podcasts must become a habit for older Americans. 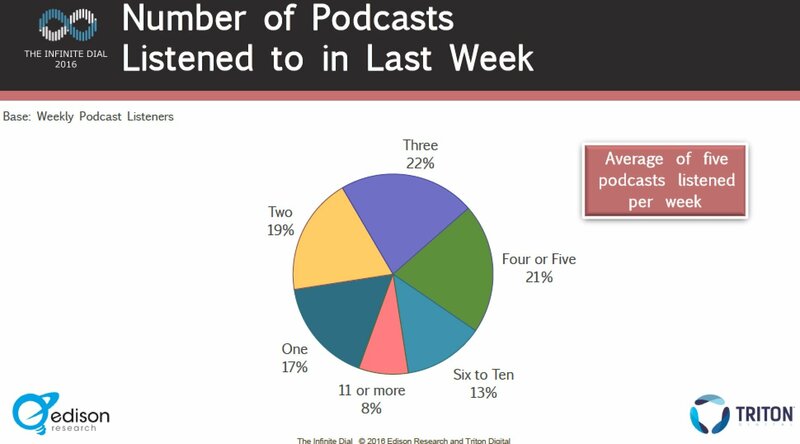 Just 11% of Americans 55+ listen to podcasts monthly. And even the name – podcasts – is something less than approachable. It’s a takeoff on broadcast that uses “pod” because the iPod was all the rage back in the day. I’m not sure I’m ready to go there for our own shows just yet, but I believe the industry (such as it is) needs to rebrand around “on-demand radio” or somesuch to make it both more clear what podcasting IS, and less nerdy for the next group of potential listeners.